Featured program will be a panel with Seattle Council District 4 Democratic candidates - the Seattle City Council races are heating up - there are over 50 candidates filed for the 7 open seats! 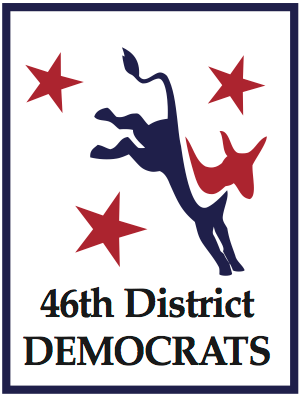 The 46th LD has portions of the 4th, the 5th and the 6th Seattle council districts. This month, they are focusing on seat 4. Bring your questions for the candidates! They will also have an update on Initiative 1000 - the Diversity, Equity and Inclusion Initiative.